Many has requested us to distribute Arduino, and we did it! Now you can get the main board from here, the category in Cytron site is under Arduino Categories. Arduino PRO Mini – Compact form of Arduino main board, smaller than Arduino Fio. Uses ATmega328 as microcontroller, lower cost as the USB bridge is being taken off, loading program will require FDTI breakout board or UC00A R2. Not compatible with most shields mechanically (size). Arduino Fio – Smaller form of Arduino main board, not compatible with most shields mechanically(size) and electrically (3.3V). Uses the ATmega328 as microcontroller. Designed for wireless loading program using XBee. BBFuino – Arduino compatible and designed by Cytron to be breadboard friendly, where you can easily plug onto breadboard and start interface with your favorite components. Uses Atmega328 and preloaded with Uno bootloader. Require UC00A R2 to load program. Not compatible with most shields mechanically (size). 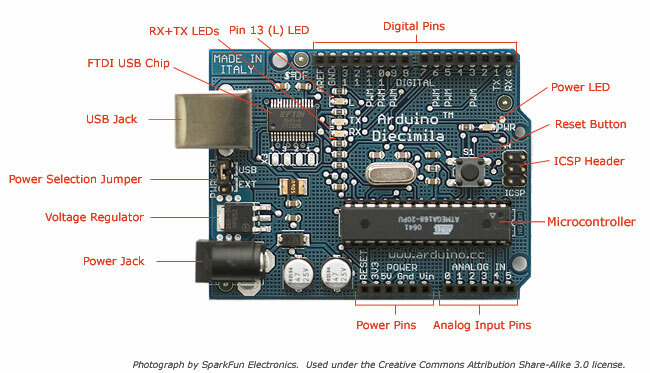 Arduino UNO R3 – Official mark of Arduino 1.o because Uno means one in Italian, it uses ATmega328 as the controller and utilize Atmega8U2 (up to Rev2.0) or Atmega16U2 (Rev3.0 – latest) as the USB bridge. Compatible with most of shields. 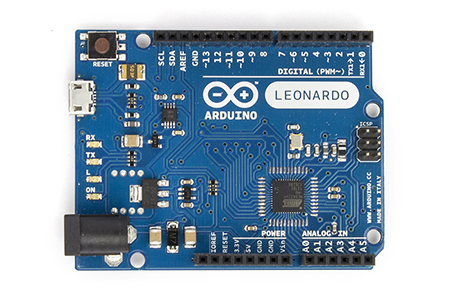 Arduino Leonardo – Uses ATmega32u4 as microcontroller and also USB bridge with computer for downloading sketch, cheaper because less USB chip. Compatible with most of shields. Arduino Mega 2560 R3 – Utilize ATmega2560 as microcontroller. Similar with Arduino UNO, uses Atmega16U2 as the USB bridge. However, Mega has more IO and peripheral compared to UNO. Compatible with most of shields. 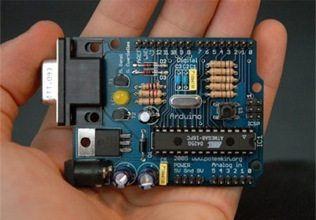 Arduino Mega ADK – Similar to Arduino Mega 2560 R3, uses the same ATmega2560 as microcontroller, but added an USB host chip for Android Accessory Development KIT (ADK). Compatible with most of shields. BTW, we also carry quite a number of Arduino Shields, motor driver, 10A motor driver, LCD, Interface, graphic LCD, Sensor, XBee, Ethernet, Proto, USB host and we are adding more 🙂 Do visit the shield page too. Finally, an Atmel product in Cytron’s inventory.